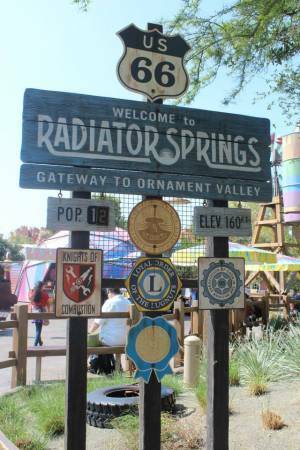 Now, for a visit to California Adventure's newest land, CarsLand. This was because of their alliance with Pixar to make the movie CARS. If you haven't seen the movie, you definitely should! 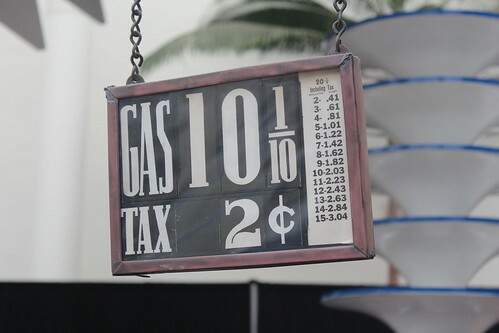 Though the sign acts like it's a gas station, inside there's a cafeteria. This is a motel, supposedly. 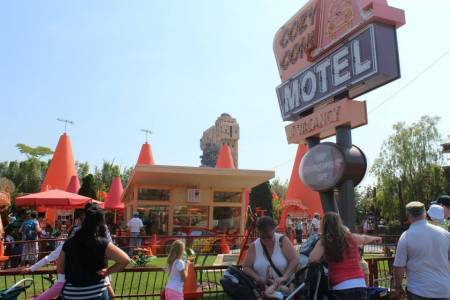 Actually, it's a place to do the meet-and-greet for a character, usually Lightning McQueen. This just cracked me up. 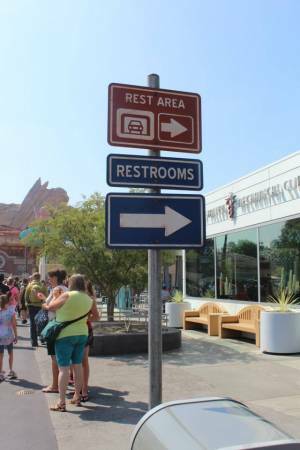 There are always plenty of restrooms in Disney parks, this one even themed to the area. However, inside the restrooms, everything was pretty modern, including automatic flush toilets. 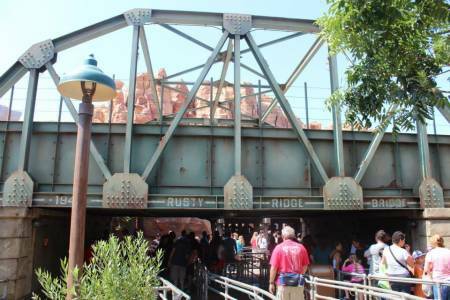 This is the queue for the Radiator Springs Racers, currently the most popular ride in the 2 Disney parks in Anaheim. 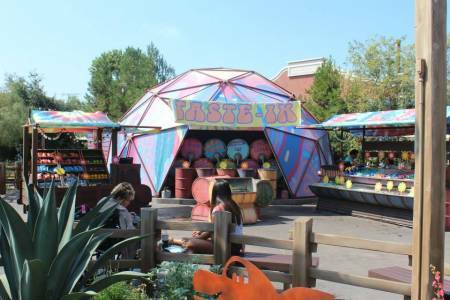 We got fast passes and baby swap cards, because I would not have waited two hours to ride the thing. 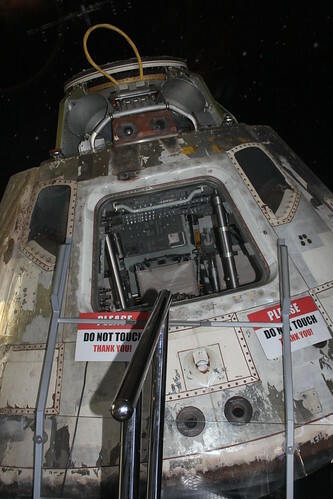 Once on it, though, I did enjoy the ride! 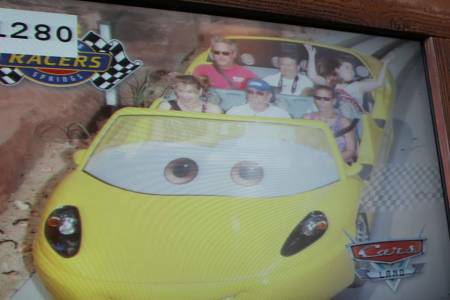 Our car WON! We're in the back. 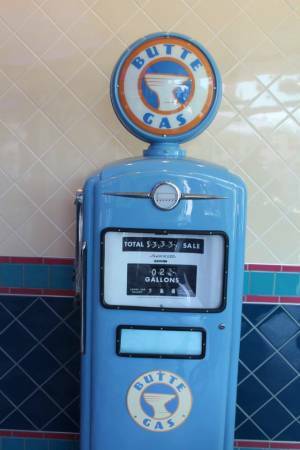 Inside Flo's V8 was a gasoline pump. Reading the price ($3.33), the number of gallons purchased (2 5/10) and the price (5c), the math didn't quite add up. There are more photos in my album, Stay-Cation 2013. Day 5 of Phase II was spent road-tripping back to San Diego in the morning. We got on I-5 South and found it riding smoothly. We'd waited until after the Orange County Rush Hour to leave the hotel, and arrived back at the house about an hour and a half later. We stopped at the View Point that's along I-5 south, on Camp Pendleton. It was a nice view of the Pacific Ocean. The rest of the day was spent recovering from three days in theme parks. Five pairs of feet, and 10 legs, needed the break! Day 6 found us sight-seeing again, this time to two places in the same area of San Diego: Cabrillo National Monument, and a little further north, Ocean Beach. Cabrillo is one of those little known gems in the National Park system. To get there, you have to wind your way through the area known as Point Loma, drive through the Navy base and Fort Rosecrans National Cemetery, finally arriving at CNM. 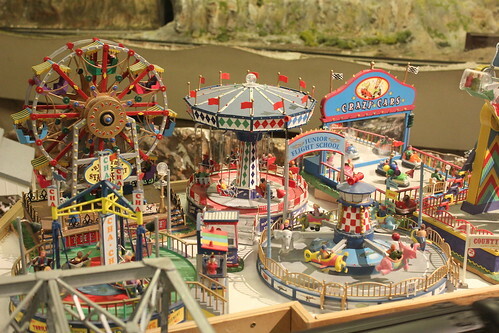 The cost is $5 per carload to enter and is good for a full week. Our first stop, after finally connecting with the other part of our party, was the Tidepool area. At low tide, this is a wonderful area for searching for sealife. Unfortunately, low tide was at 6 am and 6 pm, and we were there as high tide was just coming in. After one member of our group got soaked and had to figure out how to dry off, we drove up to the monument itself. 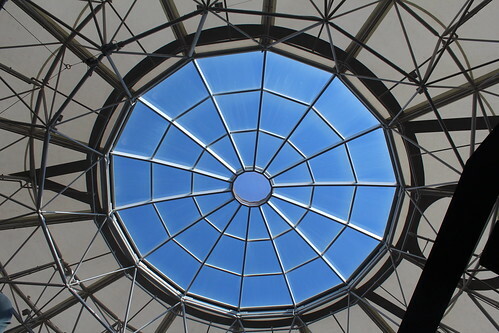 There is a visitor center depicting the history of San Diego's founding father (Juan Cabrillo), a monument to him, and some incredible views of San Diego. You could walk up to the Lighthouse, but we declined and moved on down the hill. Lunch was back down along Rosecrans at our favorite deli, Brown Bag Deli. The parking there is tight, but two cars found spots and we ordered sandwiches. Daughter and her husband took the baby and their lunch and headed back home (baby boy was really cranky). The rest of us headed for the next place, Ocean Beach Fishing Pier. The view of Ocean Beach from the pier is pretty neat. Ocean Beach Pier is one of the longest concrete piers in the US at 1/3 mile long. It's actually shaped like a Y. We walked all the way out. There's a cafe on the pier, as well as a small gift shop and a place that sells ice cream. Walking back, I found myself intrigued by looking underneath the pier. It was a fun day, but we were tired when we got back! As usual, we headed for our favorite beach at NAS North Island, Breaker's Beach. Due to a lot of last minute issues, we didn't set out as early as we'd hoped. So by the time we arrived, the parking lot was full. It seems that two military commands were having their summer picnic in the area. Still, we managed to slip into two parking spots and headed down to the beach. When the water's cold, build a sand castle! Mr. Weather had not been very cooperative, either. The marine layer was still hanging over, and there was a rain cloud above that actually attempted to "rain on our parade". We went about our afternoon, and it wasn't until we were packing up to go home that any more than a couple of drops came down. Traffic was also uncooperative. CA-163 was bumper-to-bumper at the intersection of I-5 when we came in at noon. It was expected to be that way at 3 in the afternoon when we left. And thus ends our Stay-Cation with family. 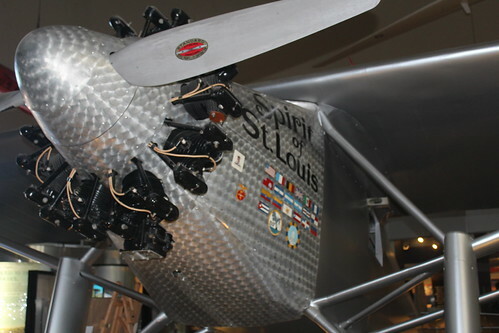 August may bring us to a museum or two, until I have to go back to work. 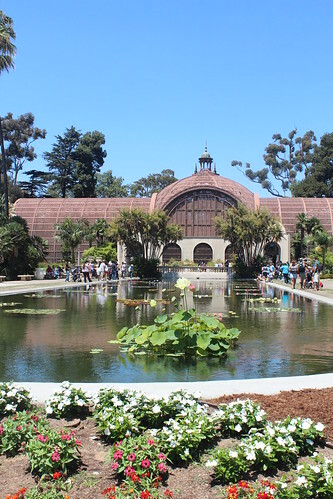 We needed to take a break today from the home renovation project we began, so the two of us headed down to Balboa Park in San Diego. 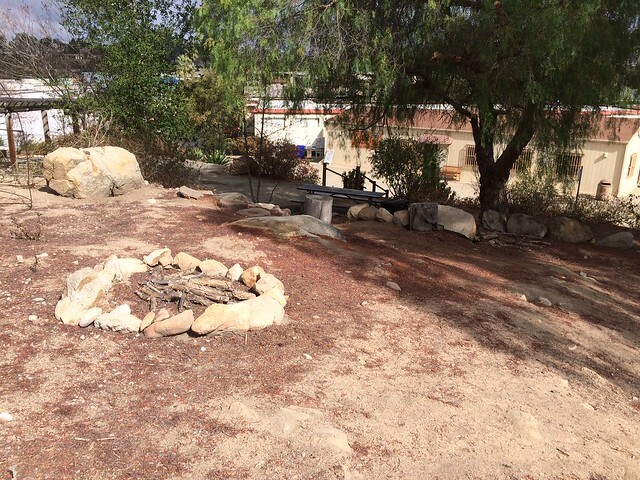 This is a large park full of grassy areas for picnics, a playground, a LOT of museums, hiking trails, and it's home to the San Diego Zoo. 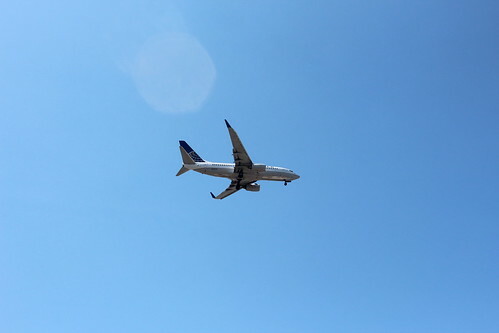 It's also right under the landing traffic pattern for San Diego's Lindbergh Field, so we heard and saw planes all day. Parking was already tough though we arrived shortly after 10 am. We drove through 3 parking lots before giving up and trying the furthest one away, Inspiration Point. This is the old Naval Hospital Balboa parking lot, but it now belongs to the City of San Diego. 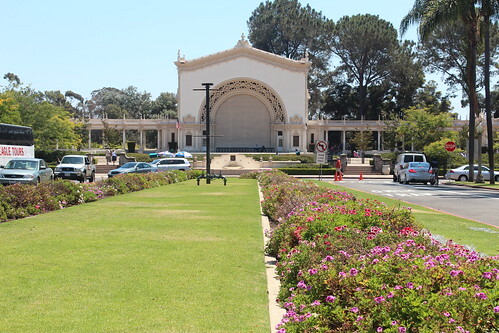 There is tram service from this lot to any of the major places in Balboa Park. We waited for one, and when it came time for US to board, we were told, no more could get in, we'd have to wait for the next one and she was the only driver that morning. So, have feet, will travel....off we went up to the Prado area. 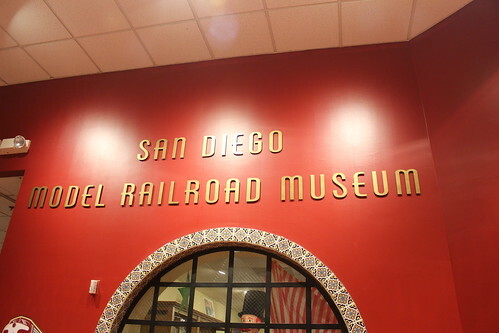 Our first stop was at the San Diego Model Railroad Museum. I grew up with a younger brother who got his first train at age 5, and he still has one – now in his basement. 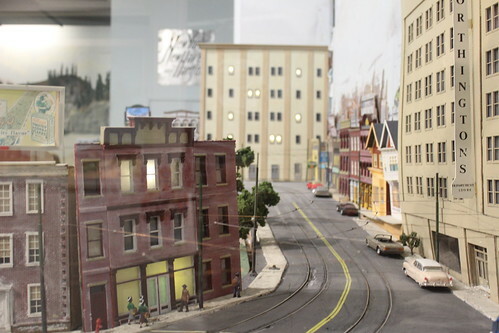 The incredible detail in these models, each owned by an individual model railroad club in San Diego or Imperial Counties, astounded me. 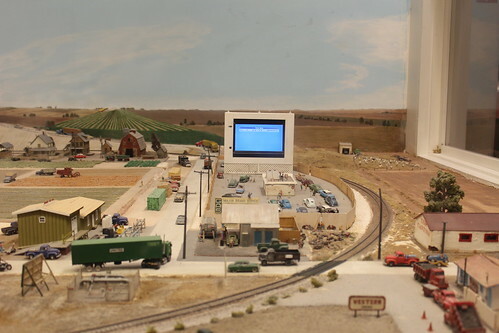 Each model seemed to depict a different part of Southern California, from the downtown San Diego area out to Imperial County agricultural area, wherever railroads ran. 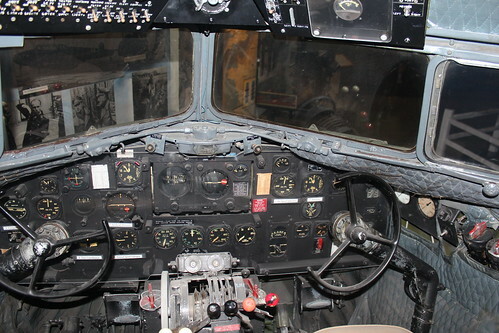 Most were given a time, such as early in the century, or in the '40s or '50s, as well. 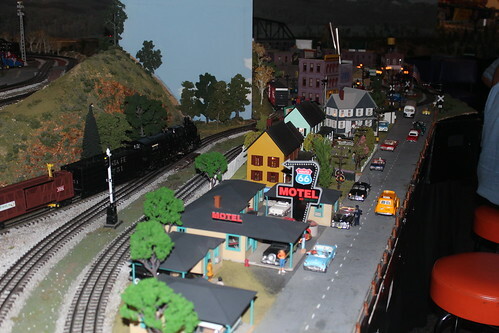 According to one of the volunteers we spoke with, the train layouts are owned by the individual model RR club, but the trains themselves are owned by individuals within that club. 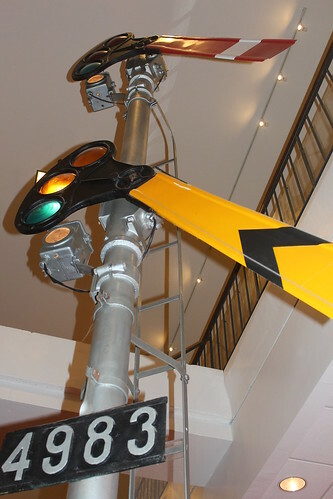 So when you see a train actually running within the museum, you know that train's owner is somewhere on the property. 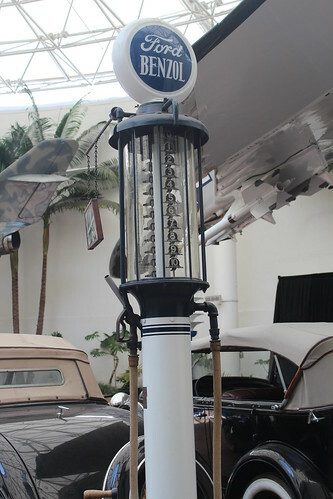 I believe all 4 common gauges were represented. 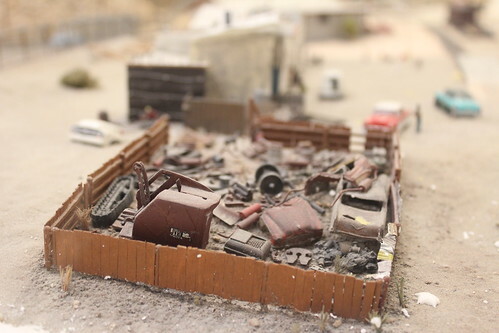 The incredible detail, right down to the "metal scrap yard" in one of the displays! 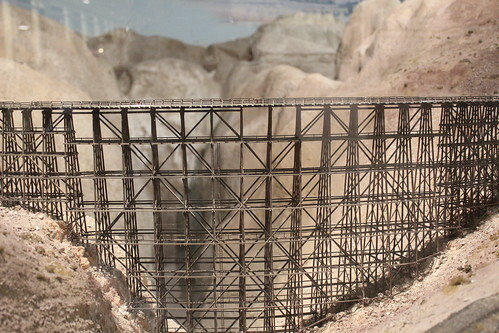 This is a model of Carrizo Gorge Bridge. 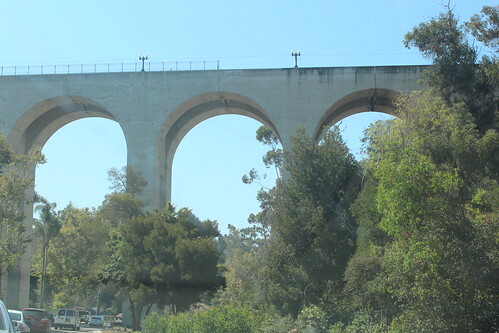 This is a real bridge in eastern San Diego County, only accessible if you are lucky enough to get to ride on the rare train that still goes out that way, or if you like to take LONG hikes in the high deserts! 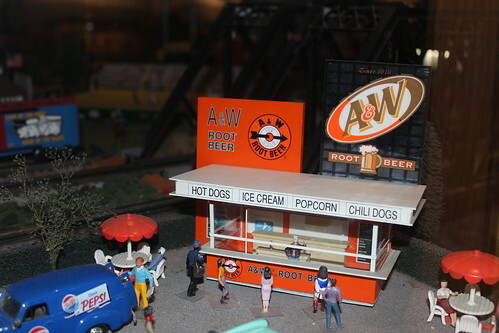 Anybody remember A & W Drive-In's? 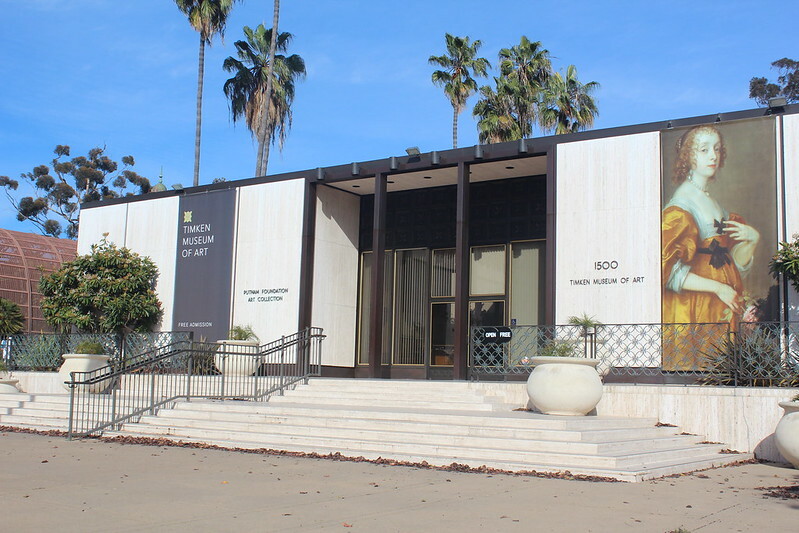 Our stomachs were rumbling by the time we went through this museum, which was on today's “free first Tuesday” list. A quick search for food brought us to a little sandwich stand – the wait wasn't long, and the burgers were delicious! I believe the places was called The Village Grill. 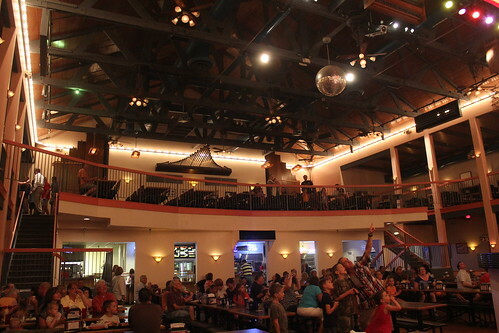 They had other things besides burgers, including tacos and carne asada (only on Tuesdays). Our only annoyance was that fries were separately charged, so we ordered one and shared them. 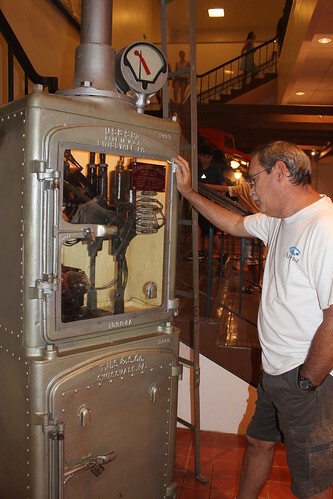 We tried standing in line for the Reuben H Fleet Science Center. It was a long line, but it was free, so we just dealt with it. Besides, the line was right next to the concrete wall that one was allowed to sit on, so we did. Once in, we realized that without kids along, unless we went into the IMAX dome theater, there really wasn't much for us to do. Instead, we walked further on down the Prado. 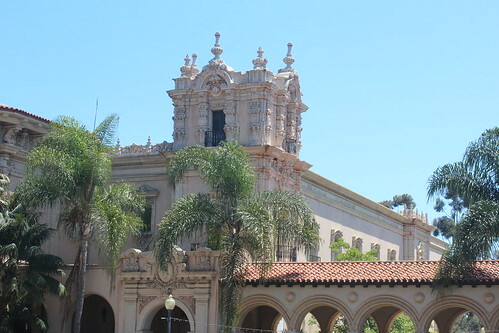 Several of the ornate Balboa Park buildings were built for the 1915 Panama-California Exposition, a sort of “world's fair”. 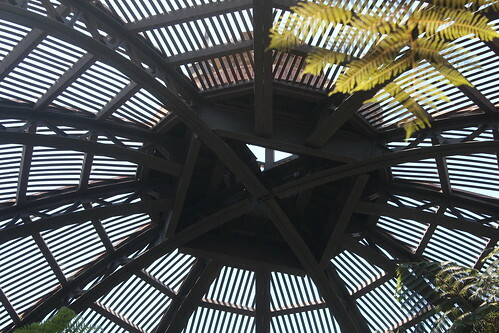 Among one of my favorite places in Balboa Park is the Botanical Building. 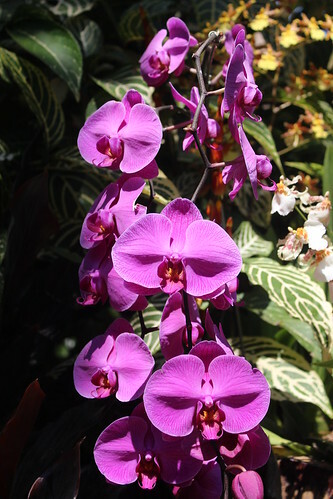 It's always free, and with all of the plants in front and within the building, even on a warm day, it's pleasant inside. 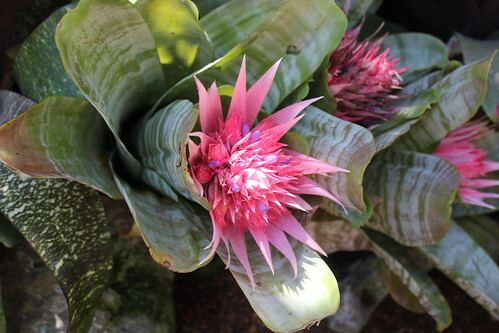 There are plants common to San Diego and some that are not. I loved playing with my DSLR, trying to learn to use other modes besides the “green box automatic” and the flash-less automatic mode. Unfortunately, all good things had to come to an end. Walking back to the car was tiring (we just missed the tram again, but it was full anyway from what we could see), and then we got stuck in the mad traffic jam where Park Blvd., I-5 and CA-163 come together. Hubby had a project to do, so I set off by myself on Wednesday. I headed for my parents' home in the Phoenix area. This is a common road-trip for us; we've been making this trip for many years...for so long, that we remember when I-8 did not go around Yuma or Gila Bend. Driving 375+ miles alone, I played my music, talked occasionally on the phone (using Bluetooth, of course), and stopped when I needed to. 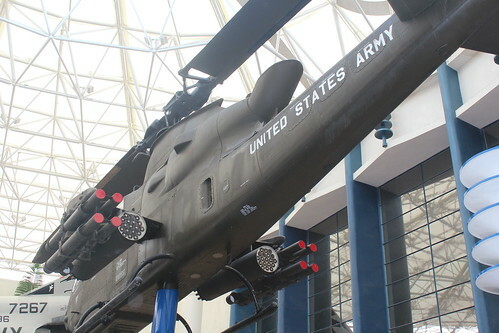 Those stops included pit-stops, fuel in Yuma, and food in Yuma. The weather, once I left the mountain area just east of San Diego, was in the low 100's....HOT. Fortunately, it was a dry heat. Mostly, this visit was just to check up on the folks. They are getting up there in years, my dad is a stroke victim (doing well, all things considered), they used to travel all over the place with a travel trailer in tow but haven't done that in 3 years. This was their 3rd summer when they were forced to spend the entire summer in Phoenix, because of Dad's health. 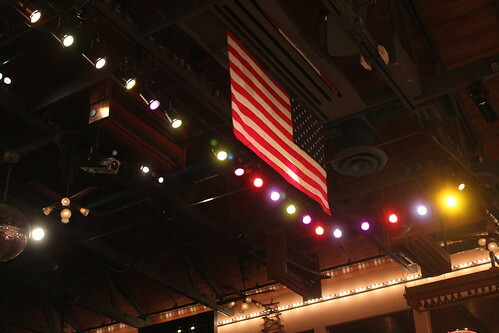 We went out to dinner on Thursday evening, at my favorite place in the East Valley: Organ Stop Pizza. The pizza is halfway decent, there's salad and ice cream, and to drink, there's beer-wine-soda-tea-coffee. The prices are reasonable. The only caution I give to first time visitors: they are the rare restaurant that does not accept any form of credit cards. It's cash or local checks only. 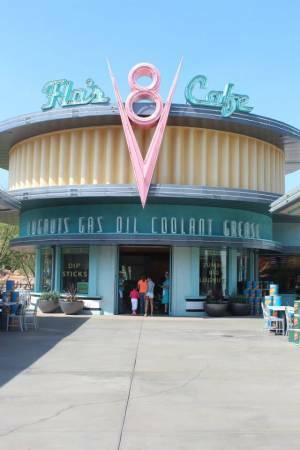 It's located in Mesa, open most nights from 5 pm to 9 pm. 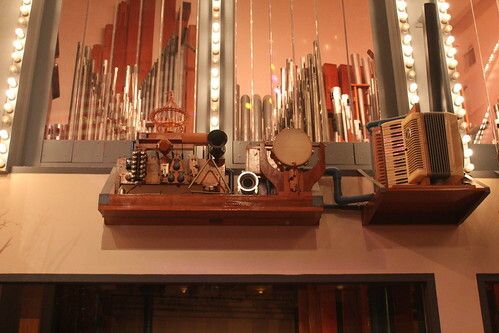 The draw to this place is the live entertainment in the form of 45-minute sets from an organist on a theater Wurlitzer organ. 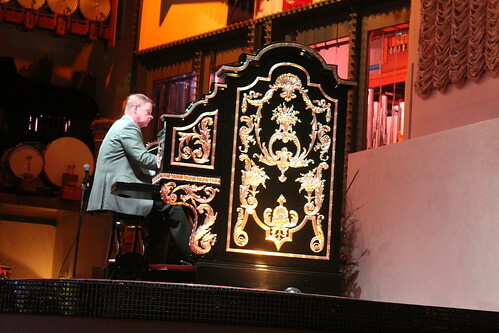 There is also special lighting, flags, an occasional set of dancing marionette cats, and other effects. The place is two story, and there are really no "bad seats". There's room by most tables for the kids to get up and dance, and indeed, they do! The trip back home was equally uneventful, thankfully. Pit stops, fuel in Fortuna Foothills (12 miles east of Yuma), food in the same area, and a stop at the Viejas Outlet Center to take a shopping break, and I was home in a little over 7 hours. 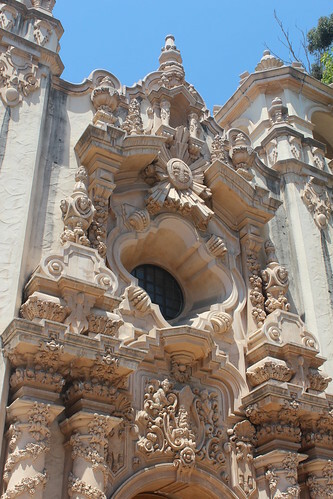 This wasn't a part of our 2013 Stay-Cation, but it has to do with another museum in Balboa Park, so I thought I'd add this here. 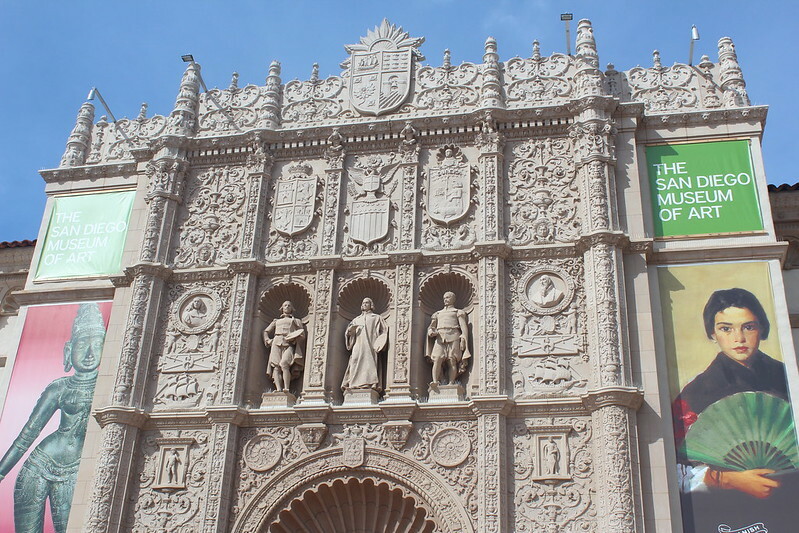 Yesterday I had an opportunity to tour the San Diego Museum of Art in Balboa Park, with a group of middle school students. 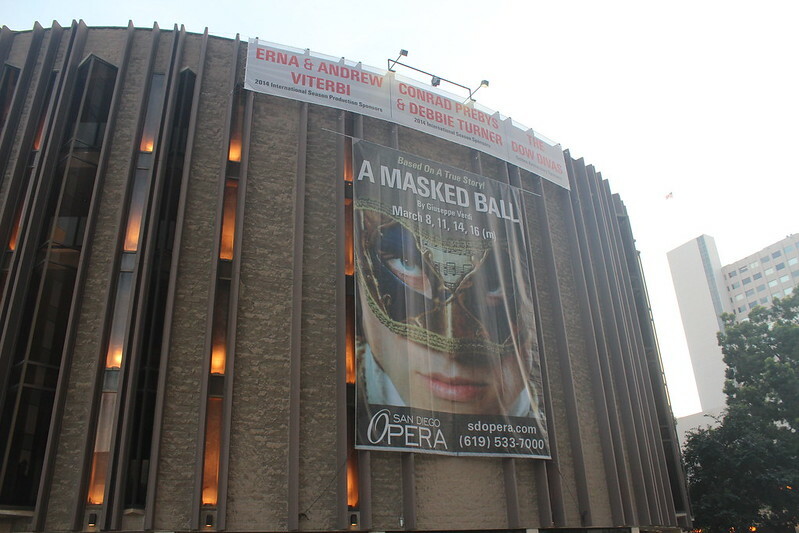 I was one of the chaperones, since the trip also included a ticket to the San Diego Opera performance of A MASKED BALL, Act I. 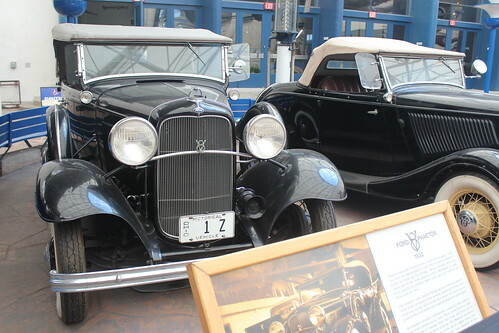 The Museum offers docent tours on Thursdays. 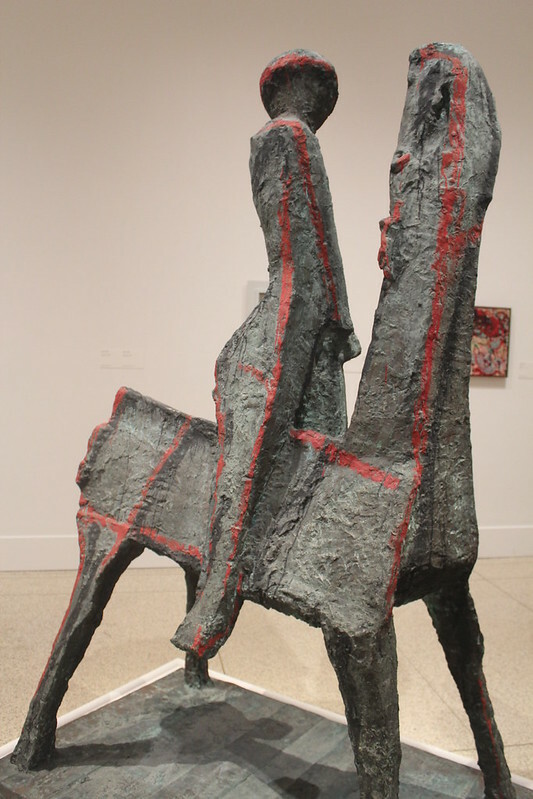 Our tour was on Abstract art, since the sponsoring art teacher had students studying abstract art. The docents were knowledgeable, helpful, answered students' and my questions honestly and (hopefully) accurately. 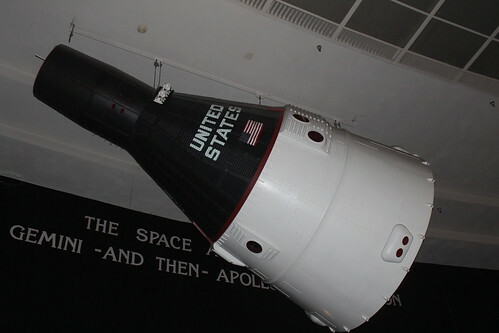 It is not a huge museum, but we were only able to visit two of the galleries. 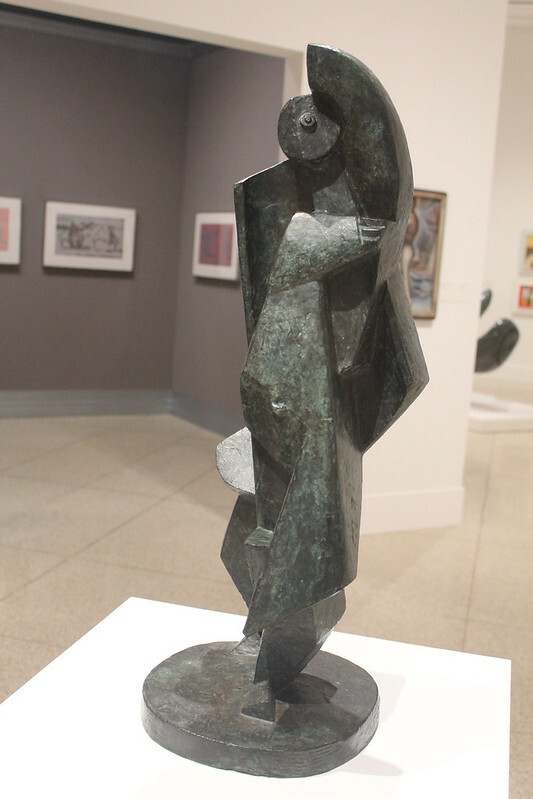 Someday I would like to return to the museum when there are not 30 early teenagers along, just to take time to really look at the art. The Timken Museum, also an art museum, is right next door and it's free too. Originally, our plans had been to go in there for a half hour, but we spent a little more time doing our tour than intended, and then had to be back at the bus a little sooner than expected to head for the opera. 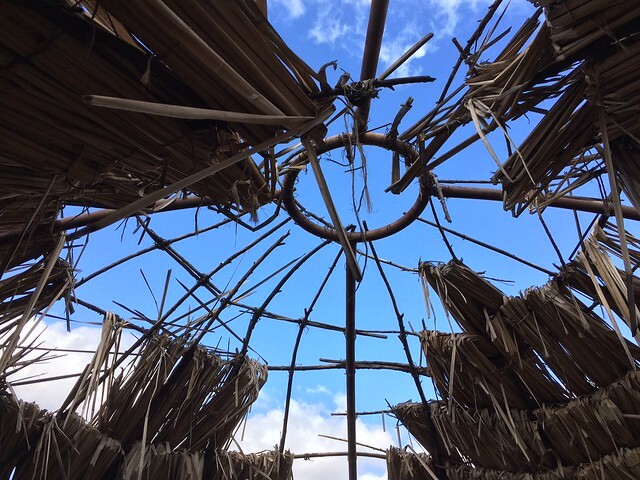 It was in recent months that I became more aware of Native American cultural exhibits in the San Diego-Poway region, perhaps because of our visit to Little Big Horn in Montana this past summer. 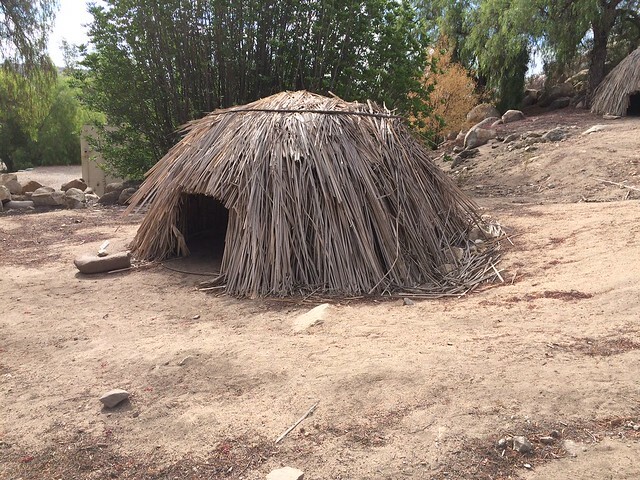 So one Saturday morning, I decided to stop and see what the Kumeyaay Native exhibit in Poway was all about. This is a place that is ONLY open to the public on Saturday mornings between 9 and Noon. 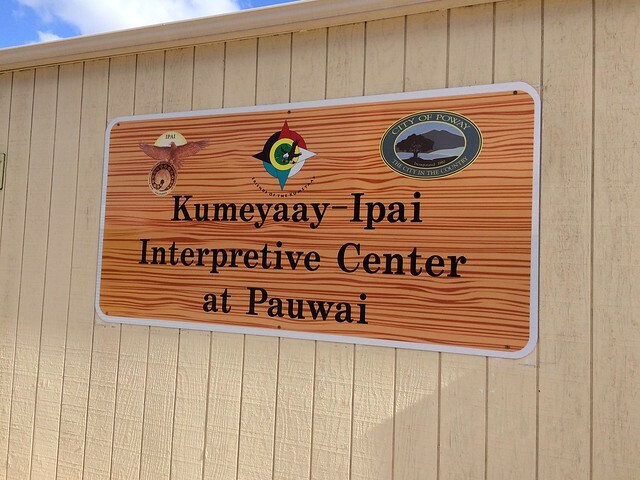 It is open by appointment, mostly for local 3rd grade classroom field trips, during the weekdays. 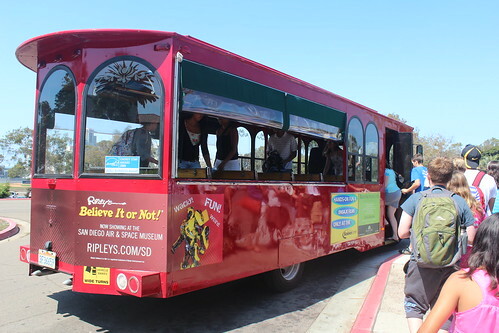 It is staffed completely by docents, and supported financially by two businesses and the City of Poway. Checking in for a tour, there is a small museum with artifacts found on the property. No excavating has been done. 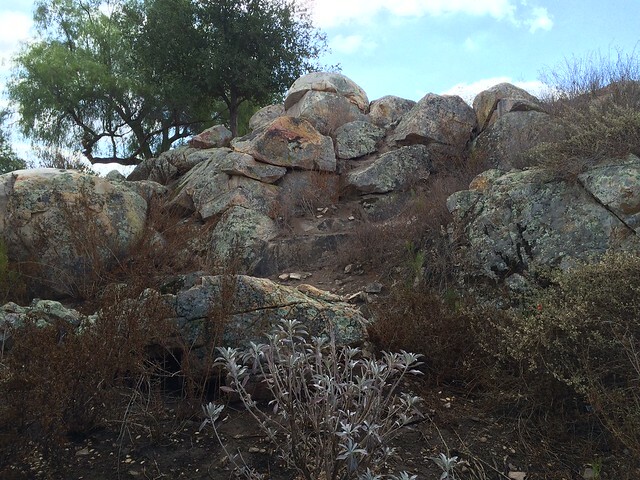 There are also photographs taken of artifacts and petroglyphs found in other areas surrounding Poway (Pauwai). BTW, Poway is pronounced Pow (rhymes with wow)-ay. A docent named Suzanne, a resident of Poway for 40+ years, took me on a tour. Also touring was a young dad and his 4-year-old son. Suzanne pointed out the flora of the area, the local lizards (to the 4-year-old), and explained a lot about the culture of the Kumeyaay. 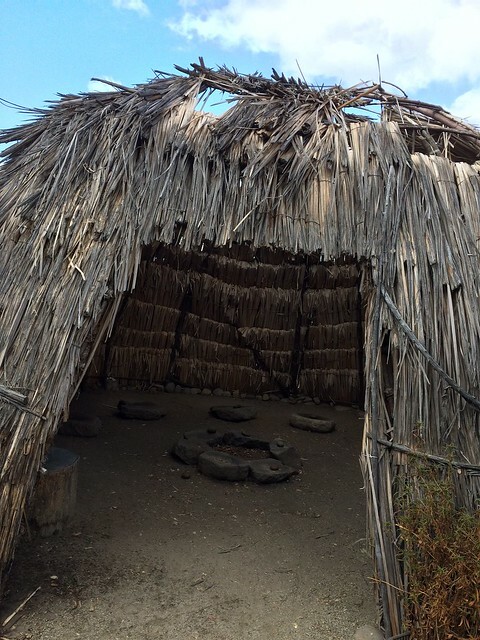 There are several mock-ups of ewaa, or the Kumeyaay homes. These homes were only used for sleeping and occasionally sitting out some rainy weather. 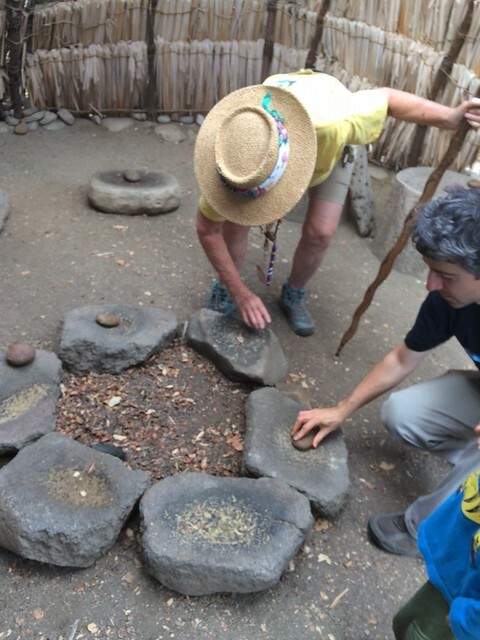 Anything relating to food was done outdoors, even though one exhibit had grinding stones inside one of the ewaa. Over 10,000 years ago, Poway was underneath a big volcano. Thus, these huge boulders that we keep seeing in the area. The other side of the "hole-y ewaa". Suzanne surprised me by telling us that there are cherry trees native to the area, that extend from the inland valleys all the way out to the coastal region. They rarely bear fruit, especially in recent years because of the horrible drought we have been experiencing in the state. A view of Poway. This is out south of the interpretive center, looking at the residential areas. 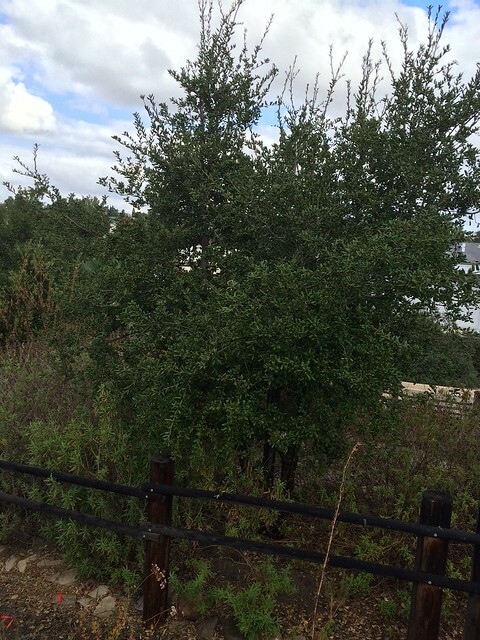 As I said, this is right off of Poway Road, the main thoroughfare through Poway. 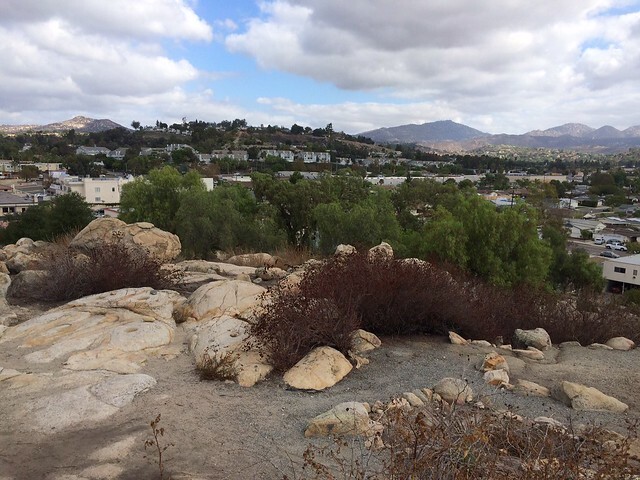 Here's a view of the business area of Poway. 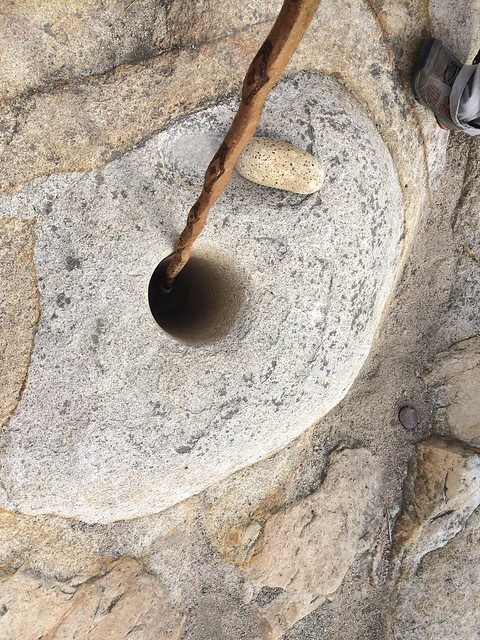 One of the many holes used by the natives for grinding, crushing, and other food preparation. These were among the deepest holes found in the rocks in San Diego. This is where they found evidence of native campfires, judging by bits of broken ancient pottery, burnt rock and ash. Unfortunately, in recent years, unscrupulous modern folks have climbed over the fence to have their own parties here. Sheriffs have run them off, but they still leave their beer bottles and other debris, and sometimes the sheriff has to put out a campfire (stupid with our drought, IMHO). A smaller ewaa, completed. 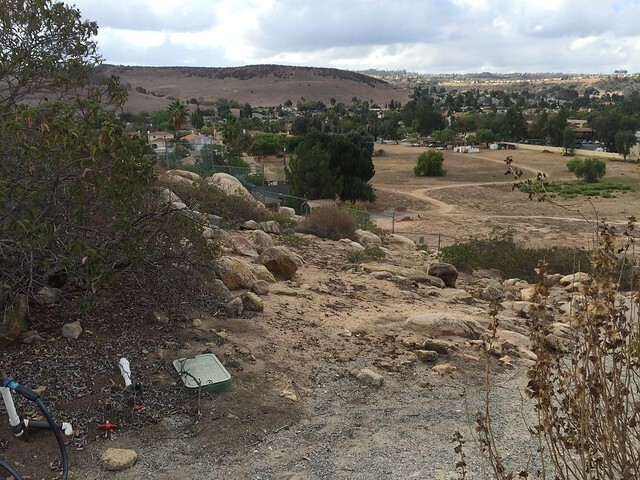 They estimated that this area of Poway may have housed about 12 families. 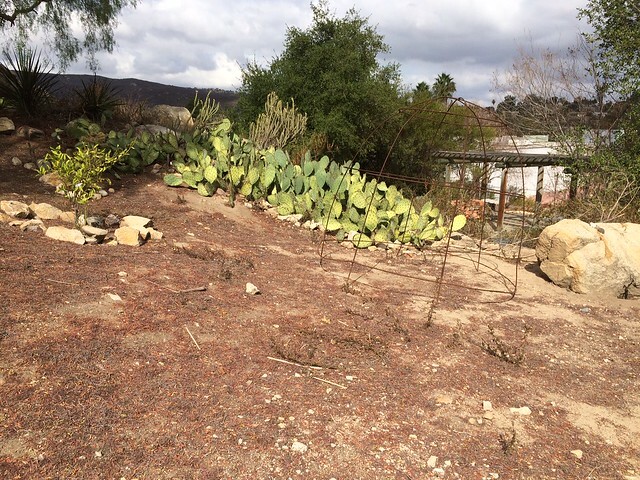 Another area, just northeast, was a larger area with 50 families, and one in east Poway held about 20 Kumeyaay families. All in all, I was there for about 45-50 minutes and enjoyed myself.